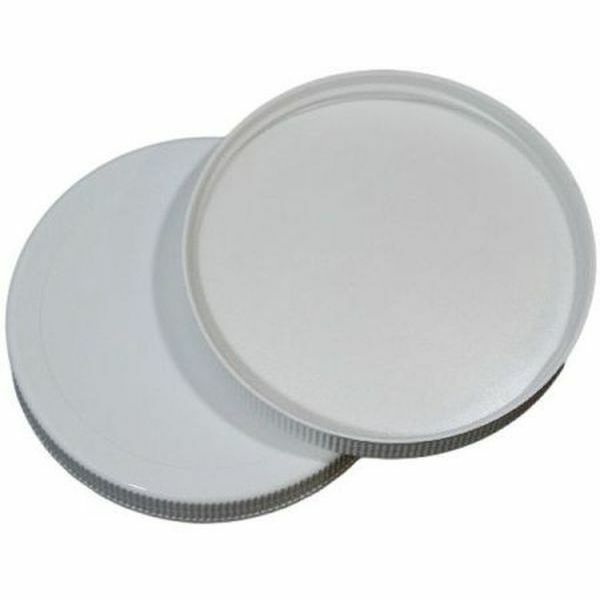 Our white ribbed plastic caps with a matte finish, are available in a variety of sizes and come with PE F217 liners. The PE F217 cap liner make a good general-purpose liner material. It has a broad application base, good chemical resistance, and makes a great choice for packaging products such as acids, alkalis, solvents, alcohols, oils, household cosmetics, and aqueous products. The white PE F217 lined closures are also ribbed for a better grip when twisting the cap on and off.